Fans who have long been convinced that their college basketball rival was behaving unethically may very soon be vindicated. Those who swear that their beloved team could never act in an untoward manner face a more uncertain future. Last September, the United States Attorney’s Office for the Southern District of New York arrested 10 college basketball-affiliated individuals on the basis of suspicion that they had committed counts of fraud and corruption. Eight of those 10 men have since been indicted. The charges detail two discrete but related criminal schemes. In the first, financial advisors bribed coaches, offering cash payments in return for those coaches pressuring their players to retain the advisors’ services. In the second, the advisors worked with what federal prosecutors initially termed “Company-1,” a “major athletic apparel company” (now known to be Adidas), offering cash payments to high school recruits in an attempt to convince them to attend Adidas-sponsored universities. In return, the advisors allegedly received assurances that the players in question would retain them upon beginning their professional careers. In later unsealed paperwork, legendary Louisville coach Rick Pitino (who was fired over unrelated allegations) was added to the list of figures who may have been involved, though Pitino has not been indicted. The story connects to Tech for a number of reasons. The elephant in the room is Tech’s upcoming apparel partnership with Adidas, which is trapped in the midst of what is at least an embarrassing ordeal and very possibly a case of serious corruption. Tech will only be the eleventh program in the Power Five athletic conferences to sign with Adidas, joining Louisville, Miami and NC State in the primarily Nike-happy ACC. When the apparel deal was announced on Aug. 22, Adidas representative Jim Murphy described the company’s relatively small base as an opportunity to develop deeper links with each school. Tech parted ways with Russell Athletic in part because the brand carried a dated aesthetic and did not spark excitement in the eyes of recruits. But for its flaws, Russell maintained a squeaky-clean public image. Adidas will need to ensure that it does not make Tech athletic director Todd Stansbury regret his first major decision in that position. The other, more surprising note is the potential for the 2018 postseason landscape to be significantly changed as a result of this scandal. While only coaches from Auburn, Oklahoma State, USC and the University of Arizona have been indicted so far, there are an indeterminate number of players who could have been influenced by tainted recruiting practices, and some defendants may take lesser punishments in return for testimony against other wrongdoers. In an article released on Yahoo! Sports on Feb. 15, Peter Thamel quoted a source familiar with the investigation who says that the initial indictments — serious revelations in and of themselves — are the tip of the iceberg. That claim could well bear out; after all, the competition for five-star prospects can be intense, and it is not difficult to believe that an elite program, convinced that it must land a coveted athlete to contend for a championship, would bend or break the rules. If, in fact, the investigation moves so fast that teams are eliminated from being considered for postseason play, Tech may have a chance of extending its season. 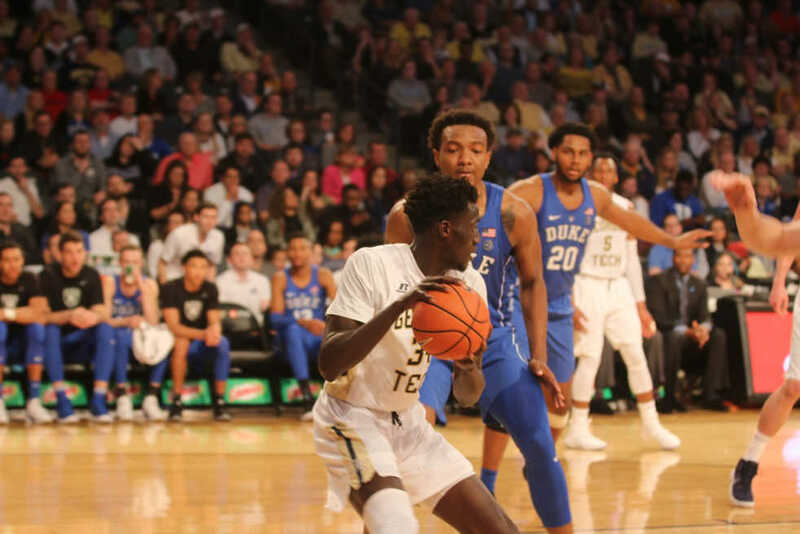 There is virtually no mechanism by which the Jackets could make the NCAA Tournament, but a few disqualified teams here and there and a strong run to end the season and the Jackets may well be competitive for a bid to the NIT, whose finals Tech made last season. Depending on the NCAA to take such action would be foolish, but in the middle of a scandal that threatens to expose once and for all the pay-for-play methods of some top programs, that wisp of hope must be consolation enough.